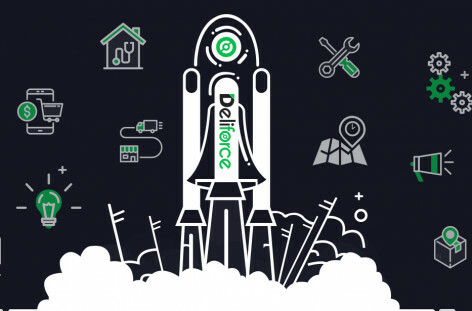 Deliforce is a SaaS delivery management, workforce management, Field service management system that offers the best and seamless monitoring and management of large workforce as well as delivery agent’s monitoring and tracking software. Restaurants can be really benefited by this solution for the simple reason that it keeps a track of all business information, along with tracking of the agents, workforce management, delivery tracking management. Deliforce offers an array of advantages for the restaurants to streamline their delivery and ensure the increase in the number of successful deliveries. One of the most time taking affair for a restaurant is task assignment to the drivers, by the admin and keep track of the tasks, to be monitored while it is being done. With Deliforce, this problem is completely eliminated. Deliforce offers bulk task assignment to the drivers and delivery boys, along with keeping a track of the live status of their task, whether they are in-progress, completed successfully or failed. This makes the overall task assignment and accounting for each task easy, as the entire workflow can be seen using the Deliforce platform. Quick and spontaneous notifications to the admin when the driver starts the task and pre-delivery SMS notification, with the tracking URL, as well as post-delivery notifications to the customers, help all to be notified of the delivery task that is going on. The delivery boys also receive notifications, when the admin creates a task. For example, as soon as an order is placed in the restaurant, the admin is notified, along with sending a restaurant confirmation to the customers. The delivery boys of the restaurants take the food out for delivery, as soon as they are prepared and packed. In this way, the admin, the managers, the customers as well as the delivery boys get notified of any changes of status for delivery of food to the customers. 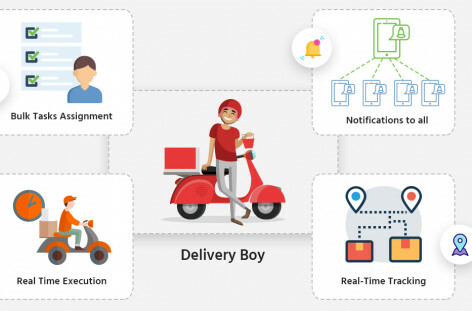 One of the main advantages offered by Deliforce is the real-time tracking of delivery boys and agents, while they are out for food delivery from the restaurant. The customers also get SMS notifications with a link to track the delivery boy in real time. This helps the customers to track their food, along with helping the admin to know the exact location for each of their delivery boys, thus helping in better management and seamless customer services. The advantages of route optimization are also offered by Deliforce, helping the delivery boys in completing more number of deliveries at a shorter span of time and in the most optimised route. The restaurants also get a complete account of its business, with a clear statistics of all the tasks assigned to the agents. The transparency in the number of tasks, along with real-time location tracking of the delivery personnel offers a complete accountability and operational clarity, helping the restaurants with seamless operations. Deliforce is likely to have a strong and significant impact on the seamless delivery operations of a restaurant. The number of successful deliveries can be increased remarkably, along with increased operational span, increase in the location traceability. A sharp decrease in the turn around time and overall cost can be expected with the successful use of Deliforce for the restaurant delivery operations. Get regular updates regarding the latest technology and findings about better fleet management, workforce tracking and related topics, that will help you understand Deliforce better and use it profitably. Deliforce offers an array of advantages for the restaurants to streamline their delivery and ensure the increase in the number of successful deliveries. 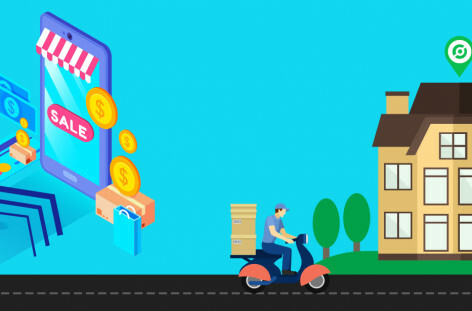 Why delivery boy tracking feature is important to ecommerce apps? One of the most lucrative features of these apps is the real-time tracking of the delivery boys while they deliver the parcel to the mentioned destinations. Are you Interesting In ? Let’s get started in FREE of cost! © 2019 Deliforce. Made with ❤ in Bangalore, IN.